When Barack Obama spoke about change during 2008 he probably wasn’t thinking about GAA matters, but there’s been great change locally in the world of hurling. In January this year a new club was formed, a single unit replacing the clubs in Inagh and Kilnamona at a packed meeting in Kilnamona Community Centre. The club is called, logically enough, Inagh-Kilnamona Hurling Club. The impetus for this initiative came mainly from developments at underage level for the previous decade. 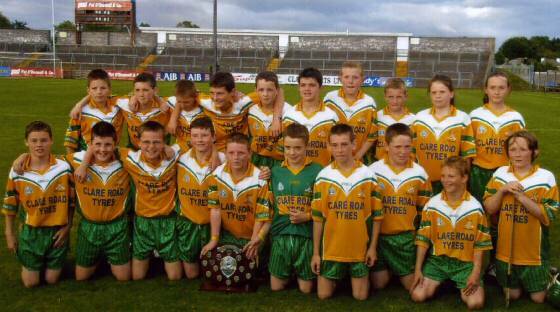 Teams in both Inagh and Kilnamona had enjoyed success but suffered from scarcity of playing numbers in some grades. When the decision was made to pool resources at under U12, U14, U16 and eventually minor and U21, the level of performance and competitiveness steadily improved. It became normal to see Inagh-Kilnamona teams compete with and often defeat the leading clubs in the county and a series of county titles followed. The last few years have seen our teams bring trophies for U12, U16, Minor, and U21 championships. The success of this venture naturally led many to believe that this should be continued to adult level and when the idea was brought to the members of both clubs there was strong support. So, a year on, what’s different? For a start there’s been a huge level of interest, (the novelty factor) there’s been a mixing and meeting of players and supporters which had never happened before. Even though we have lived in the same parish, in relatively small and close communities, many players, supporters and mentors did not know one another well, if indeed they knew one another at all. The interaction through training, matches, fundraising, administration and all the other activities, has changed all that. And of course, the Hurling. Once again, the youngsters led the way. There was constant activity for 7, 8, 9, and 10 year olds, with blitzes, training matches. Our U12s retained their county title, the U16’s lost out to the ‘Bridge in their final, and the minors won the second minor ‘A’ championship to come to the parish. All the adult teams performed well, but didn’t get their hands on any silverware (it’s not as easy as it seems!). 2008 has been a unique year for Inagh-Kilnamona. Many outside observers just didn’t believe that this initiative could be successful, given previous rivalry, but the common sense and maturity of all those involved has been equal to any difficulties and hiccups along the way. There will be many and varied issues to be dealt with in the future, promoting our game among children and adolescents; providing appropriate facilities and ensuring the welfare of players. These and other issues will need the attention and resourcefulness of officers and members in the coming year and into the future. Like all GAA clubs we are an amateur, voluntary, sporting association. Our aim is to play, promote and support the game of hurling in our community, for the benefit of all in the community and to maintain and develop a unique cultural heritage, our ancient game. We welcome all who wish to take part in our activities, as a player, member, or supporter. The contribution of many and the commitment of all will make our club a strong and vibrant part of community life. The abiding memory of the year gone by is the friendships formed and the dispelling of old prejudices. Long may it last. If Barack Obama can bring about change as momentous as this, he’ll be doing well. 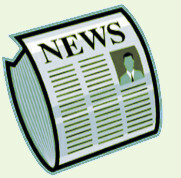 the newsletter distributed in the churches of the parish each weekend.